We recently spent a wonderful week on the Yaeyama Islands in Japan. Out of the 3 islands we visited (Iriomote, Taketomi, Ishigaki) Taketomi Island is the smallest but had the most charm. In the last census of 2012 there were 323 people living on Taketomi Island Japan. Needless to say that this is an island where people leave their doors unlocked! 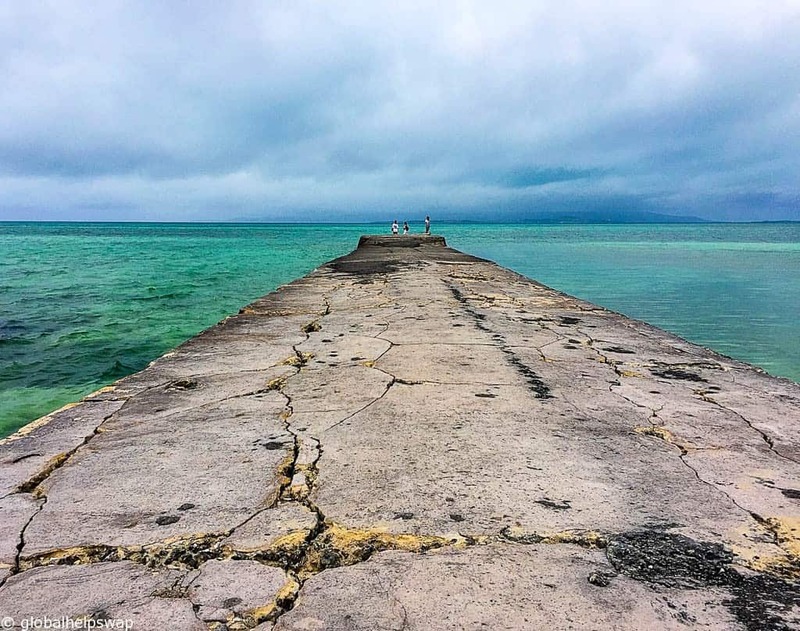 Here are our 5 reasons why we think you should add Taketomi Island on to your next trip to Japan. 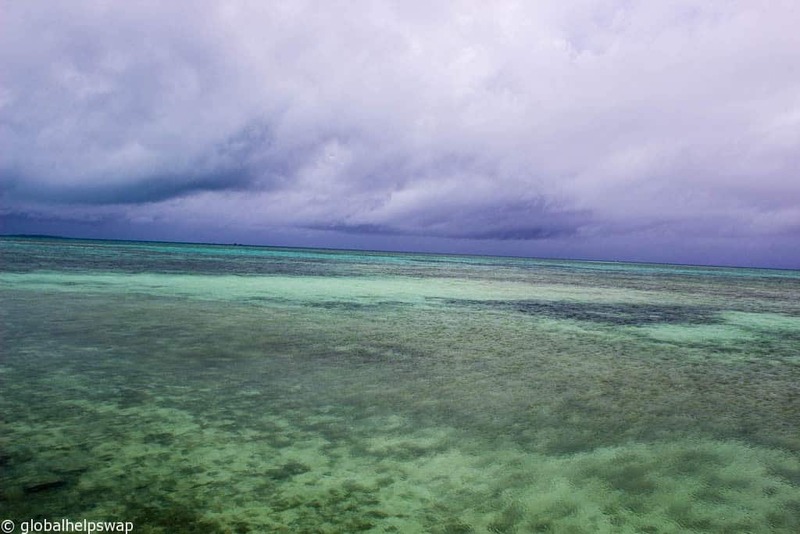 Taketomi Island is a raised coral atoll and the whole island is surrounded by coral reefs. The best beach to swim on is Kondoi beach to the west of the island. When I say swim, I really mean cool off as the water is very shallow here. Like all of the Yaeyama Islands, Taketomi has crystal clear water. Another beach that you must visit is Kaiji beach. Hardly anybody swims here or sunbathes for that matter. What do people do, I hear you cry? Well once upon a time, Kaiji beach used to have plenty of “star sand” which is composed of the remains of small marine organisms called Foraminifera. Unfortunately, the star sand has become so popular with people taking it home for souvenirs that you may find it pretty tricky to spot it. You can always look at the collection at the souvenir stand if you don’t find any! 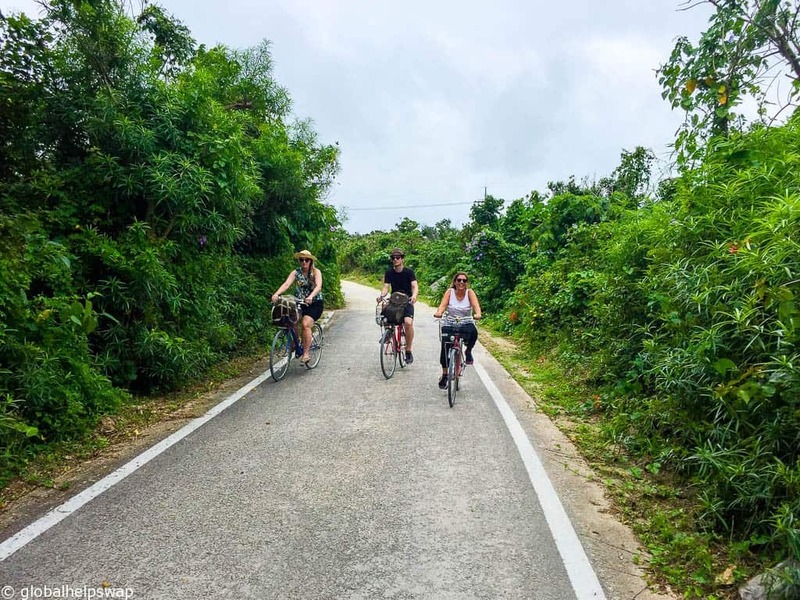 The best way to get around Taketomi island is to cycle. As the island is so small it’s almost impossible to get lost and I think there are only 10 cars on the whole island so you don’t have to worry about traffic. We recommend just going off in any direction and discovering the island for yourself. Most of the roads are unpaved white sand so remember to stick to the left. 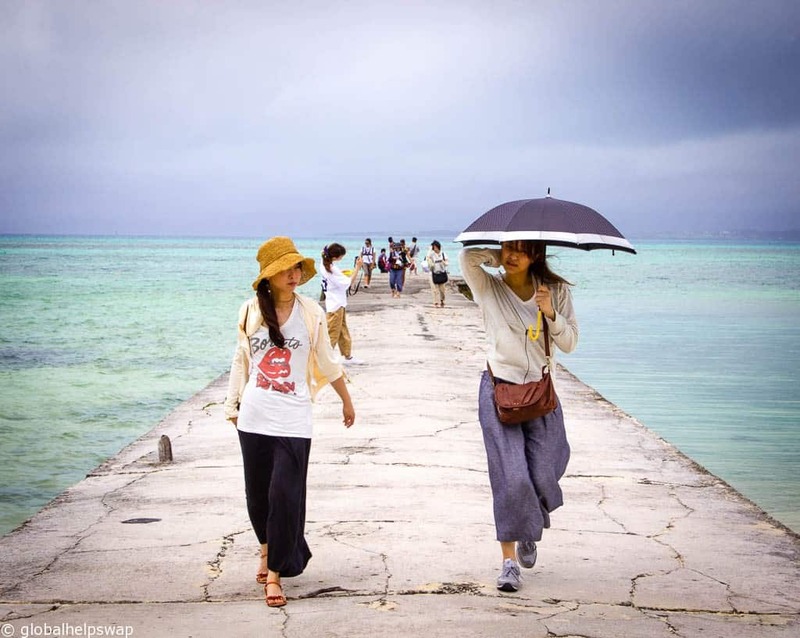 Taketomi Island maybe small but it punches above it weight when it comes to culture. There are over 30 utaki or hold places scattered around the island that show respect to the gods. These places are to be observed and not for you to venture inside. 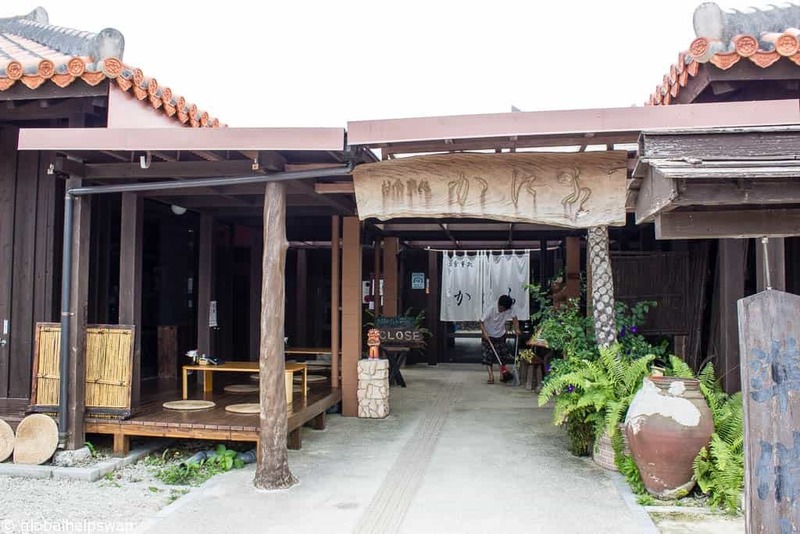 In the village you can head to Mingeikan where you can watch local artisans weaving traditional minsa cloth. Also in the village is Japan’s most southernmost temple. 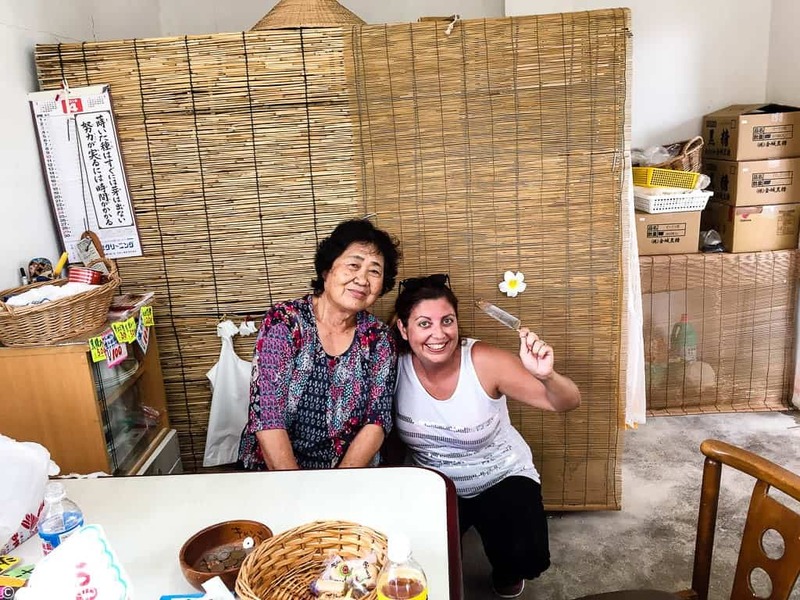 Kihoin’s resident priest has collected over 3,000 historical items and handicrafts. 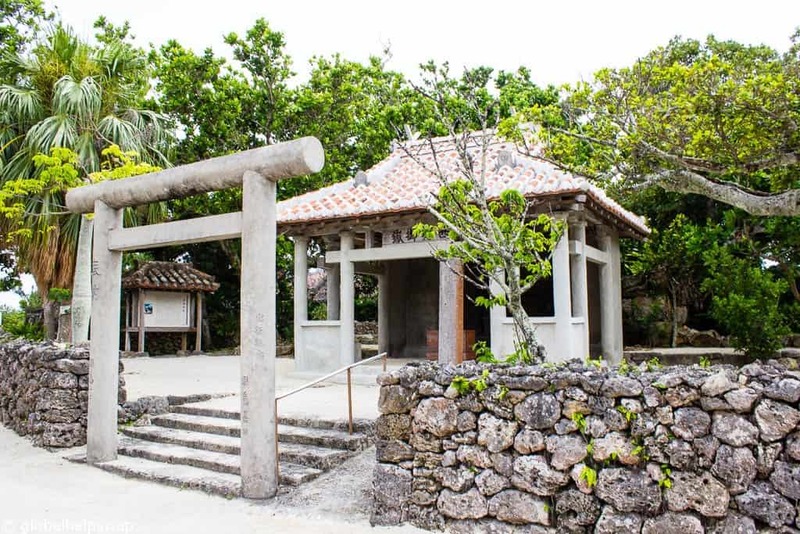 Taketomi Island is known throughout Japan for its architecture. 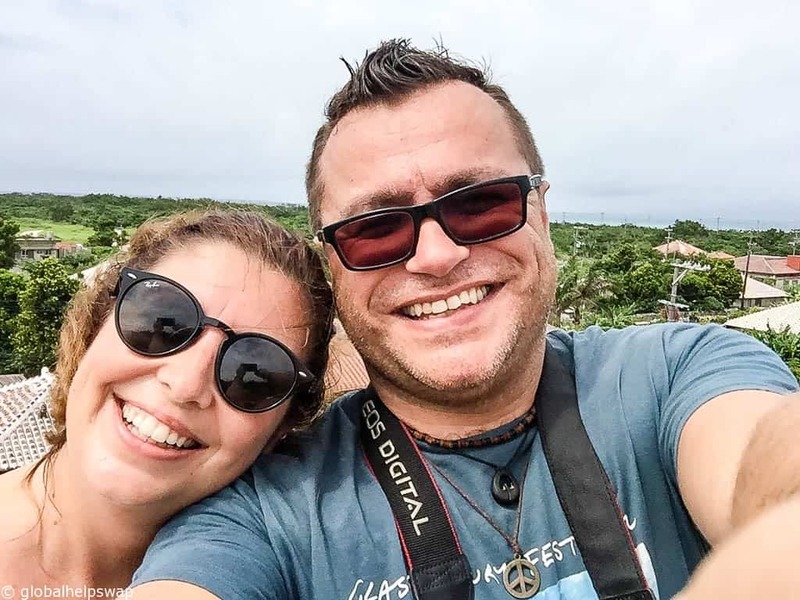 As you walk or cycle around you will notice that most of the buildings have the same design of red-roofed tiles, single story blocks, coral lining the entrances and shiisas or lion guardians sitting on the roofs to protect the inhabitants from evil spirits. Like elsewhere in Japan the people of Taketomi are warm and friendly. A perfect example of this is when we entered a local snack shop on our bike ride. The old lady (she won’t mind me calling her old as most of the population of the island is above 60!) who owned the shop is famous for her brown sugar ice lollies. We ordered two and went to pay. Because we only had notes she insisted we have the lollies for free. We objected and told her we will go and get change but she wouldn’t take no for an answer. Later on that day she surprised us once again by giving our tour guide more snacks for our journey home. 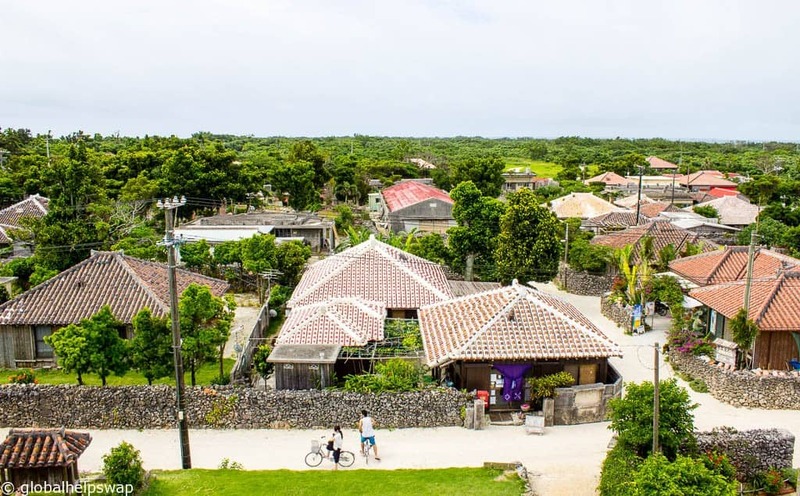 We highly recommend you add Taketomi Island to your Japanese itinerary next time you visit Japan and see a different side to this wonderful country. The only way to get to the island is by ferry from Ishigaki Island. The boats run every 30 mins from 07:30 to 17:30. At the time of writing a round trip fare was 1330 yen. The bicycle hire companies will have people to greet you as you disembark the ferry. To rent a bicycle the cost is around ¥300/1500 for one hour/full day. We were kindly invited to the Taketomi Island by Okinawa Tourism. As always, opinions are our own. 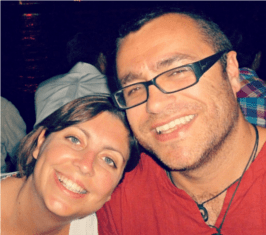 Great read , and what e lovely lady . 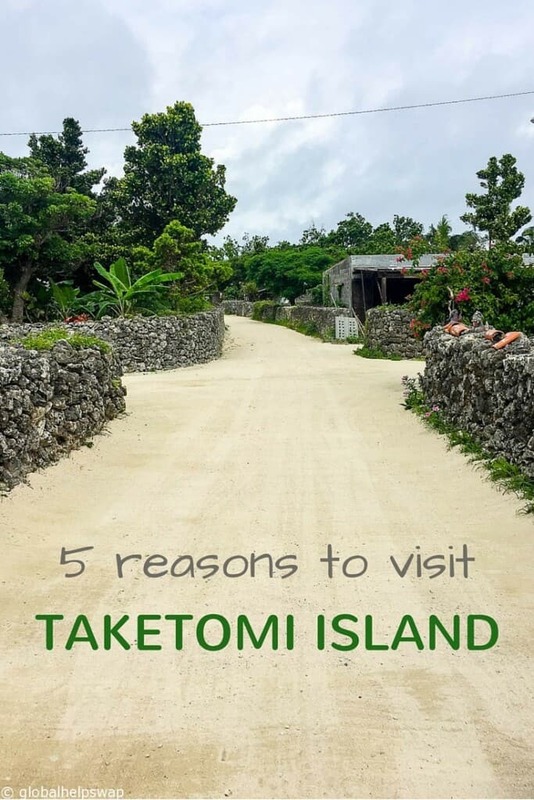 Great information about Taketomi Island. It looks like a lovely place to visit – and cycle. Also, that lady was so kind to give your snacks. It really is a lovely place. You two would love it! Thanks Jessica! Yes, you must head down to the Yaeyama Islands, they are beautiful.